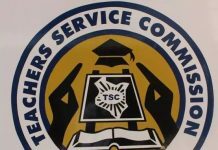 Teacher service commission targets 5,000 school heads and teachers in the third phase of delocalisation this year. Those transferred are expected to report to their new stations next year as schools reopen. Schools will close next Friday, October 26. The first term will start on January 2. The transfers will affect more than 3,000 institutions. It targets 195 long-serving school principals, deputy principals and thousands of teachers who operate within their locality and those who have served in one institution for more than nine years. TSC is taking this move contrary to president Uhuru’s order that. August this year, the boss of the country had directed education ministry together with tsc to review delocalisation policy to protect families. On the other hand KNUT has been on the forefront to oppose transfer of teachers terming it as against ILO standards. Tsc has always defended delocalisation exercise. In a press statement that was signed by Dr. Nancy Macharia, the commission argued that transferring of teachers is necessary for equitable distribution of teachers. “Kuppet has no problem with teachers being transferred to other counties because the contract we signed allows a teacher to teach anywhere in this country,” Mr Misori said.